Registration for the Summer School (including the Conference) ended May 1st 2012. 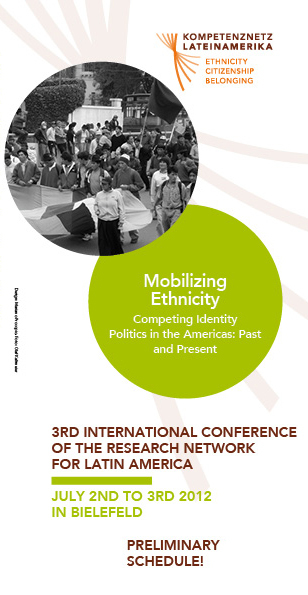 Registration for the Conference ended June 3rd 2012. An anthology resulting from the conference has been released in 2013: Bejarano, Eric Javier; Grebe, Marc-André; Grewe, David; Lobensteiner, Nadja (Hg.) (2013) "Movilizando etnicidad. 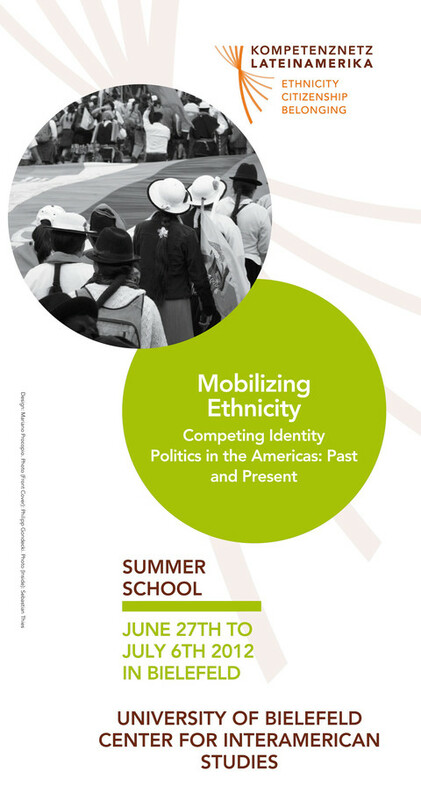 Políticas de identidad en contienda en las Américas: pasado y presente // Mobilizing Ethnicity. Competing Identity Politics in the Americas: Past and Present", Frankfurt a.M. (Iberoamericana/Vervuert).